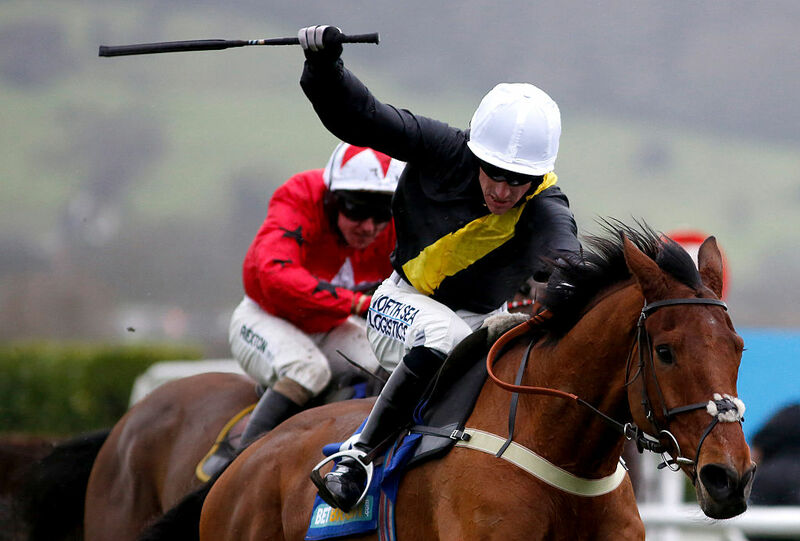 The RSA Novices’ Chase, run over 3 miles and 80 yards on the Old Course at Cheltenham, is just over four weeks away, so we thought it was time to highlight the chance of one that we fancy, at apparently generous odds, before the price evaporates. The horse in question is the progressive seven-year-old Singlefarmpayment, who can be backed at 33/1 with Betfred, Totesport, Betfair and 32Red, but is as short as 16/1 with bet365. Listed by his trainer, Tom George, as one of his ‘five to follow’ for the 2016/17 season, the Milan gelding travelled strongly when winning a Class 2 novices’ chase over 3 miles 1½ furlongs on the New Course at Cheltenham in December, staying on well to beat Arpege D’Alene by 2½ lengths. The Reynoldstown Novices’ Chase at Ascot and the Towton Novices’Chase at Wetherby – both Grade 2 events – were mooted as possible targets following the Cheltenham success, but connections opted to return to Prestbury Park for a Class 2 novices’ handicap chase over 2 miles 5 furlongs on the New Course in January. Sent off 5/1 joint favourite, Singlefarmpayment was held up in rear by Adrian Heskin and was just beginning a forward move when More Buck’s fell right in from of him at the twelfth fence, bringing him down. Of course, it’s impossible to tell what might have happened, but Singlefarmpayment appeared to be travelling at least as well as anything at the time. Notwithstanding his latest mishap, he clearly likes Cheltenham, stays beyond 3 miles, has winning form on good, good to soft, soft and heavy going and remains open to significant improvement after just four starts over regulation fences. He steps up to the highest level for the first time, but could well be up to the task and, at his current odds, we don’t mind paying to find out.